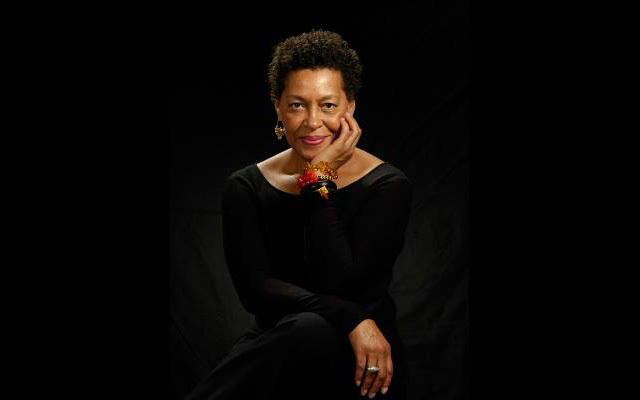 The UC San Diego Department of Visual Arts welcomes the return of celebrated artist Carrie Mae Weems, a distinguished alum who received her MFA from the department in 1984. Weems’ visit anchors a dynamic fall lineup of guests meant to engage and inspire an active student population and artistic community on campus, as well as to broaden the scope, appeal and range of art throughout greater San Diego. In addition to Weems, guests include Anna Sew Hoy, an established artist and the department’s inaugural Martha Longenecker Roth Distinguished Artist in Residence; independent artist, cultural producer and trans woman Zackary Drucker as part of a joint program with the Museum of Contemporary Art San Diego (MCASD); and critic, essayist and author Mark Dery. As part of the department’s official Speaker Series, guests will spend time interacting with students and faculty members on campus and in the community. All will be speaking at a series of free, public events on campus where they will discuss their work and impact on society. Public event: Oct. 24, 2018 at 7 p.m. Known primarily for her sculptural work, the Los Angeles-based artist adeptly employs materials often relegated to categories of craft or handiwork. With large slabs of roughly hewn clay and deconstructed fabrics, Sew Hoy creates complex geometric compositions that radically shift, depending on the vantage point. The artist contrasts hard and soft materials in conjunction with unusual forms that reference everyday objects, creating hybrid pieces that are both familiar and strange. In residency Oct. 15 – Nov. 19, Sew Hoy was announced as the inaugural Martha Longenecker Roth Distinguished Artist in Residence in 2017 and will spend her time on campus both practicing her craft as well as mentoring and instructing UC San Diego students during a critical stage of their artistic development. The residency was established in 2016 by an endowment honoring late artist, educator and Mingei International Museum founder Martha Longenecker Roth. Considered one of the most influential contemporary artists, Weems has investigated family relationships, cultural identity, sexism, class, political systems, and the consequences of power. Determined as ever to enter the picture, both literally and metaphorically, Weems has sustained an on-going dialogue within contemporary discourse for over 30 years. During this time, she has developed a complex body of art employing photographs, text, fabric, audio, digital images, installation and video. Weems — whose last public appearance at UC San Diego was in 2015 — has received numerous awards, grants and fellowships, including the prestigious Rome Prize, National Endowment of the Arts award and, in 2013, a MacArthur Fellowship. She has been recognized for her commitment to the Department of State’s Art in Embassies program, and received the Congressional Black Caucus Foundation’s Lifetime Achievement Award, a BET Honors award for visual arts and a Lucie Award for fine art photography, among many others. She was one of four artists honored at the Guggenheim’s 2014 International Gala. In addition to her producer credits, Drucker is known for her large-scale photographs that break down the way society thinks about gender, sexuality and seeing. She has performed and exhibited her work internationally in museums, galleries and film festivals, including the Whitney Biennial 2014, MoMA PS1, Hammer Museum, Art Gallery of Ontario, and San Francisco’s Museum of Modern Art. Photographs from Drucker’s series “Relationships, 2008-2013” are part of MCASD’s permanent collection. This program is free for MCASD members and UC San Diego faculty, staff and students; $5 for seniors and students from other schools, and $15 for non-members. Public event: Nov. 28, 2018 at 7 p.m.
Dery is a cultural critic, essayist, and book author who coined the term “Afrofuturism” and popularized the concept of “culture jamming.” He has published widely in academic and popular presses on American mythologies and pathologies, and his biography of illustrated-book author and artist Edward Gorey, “Born to Be Posthumous: The Eccentric Life and Mysterious Genius of Edward Gorey,” will be published this November. In his lecture “The Screams We Make In Other People’s Dreams: Edward Gorey, the Gay Gothic, and the Camp Macabre,” Dery will draw on queer theory, literary criticism, art history and cultural studies to explore the Freudian shadows lurking in the corners of Gorey’s whimsically macabre art and writing. Dery will reveal the seminal role played by Gorey in the postwar mainstreaming of the gay aesthetic and, together with children’s authors like Maurice Sendak, the transformation of American visions of childhood and the popularization of the darker, queerer children’s literature familiar from Lemony Snicket’s young-adult novels and the movies of Tim Burton.